Image is Everything, when the customer receives the carton what does it say about your packaging? Click for details. Our company motto is: We Tie It, Seal It, Lick It, and Stick It®!!! Click on the links to check out the machines. We decided to change the format of our Idea Page. Find cost effective alternatives to increase your work flow with the packaging solutions below. Need to add a date code, lot number, use by date to a label before it is applied? Check out the Smart-Jet Plus Printer. Label Dispensing Mess? 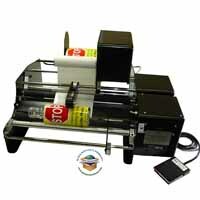 Clean up the clutter with multi-roll label dispensers. Duplexing Paper to make it thicker! Label Gluing - Print your own labels and use glue to apply for applications like Beer and Wine Bottles. Removing pressure sensitive tapes and labels with minimal damage to the carton using a heat gun. 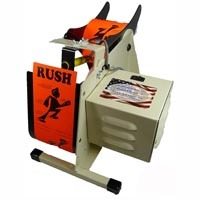 Speed up Labeling with "Pick and Stick" - up to 5 times faster than manually getting a label. Cupping the tape is an easy way to control the tape and keeps your hands cleaner. Gum tape creates the best seal to vermin proof and show damage to the carton when the tape is tampered with. Already own one? - A brief summary for placement and buying tape. Avoiding Sticky Fingers when using gummed tape by cupping the tape. Picking the right machine for the application? A Complete System for dispensing? The Better Packages BP555eSA with AMD, Tape Aerial, and Foot Switch for the Total Solution for Packaging. Tape Dispensing and applying - Benefits of Gummed Tape over competitive methods and elements that make a great tape dispenser. 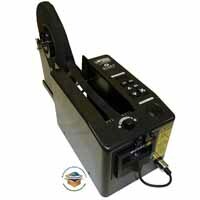 Avoid Tape Gun Injuries - Alternatives to hand held dispensers. Poly tape not sticking? - Using the right tape? Gift Wrapping - multiple short pieces at one touch of a button! Keeping up with tape guns with magnets. Need to remove old plastic tape and pressure sensitive labels with minimal damage to the carton? Click here. Clam Shell problems? Customers open packages, spill contents, and you need a way to reseal? We offer a low cost solution. Coding and Marking Products? Info on different methods. Click here. Coding boxes while you pack? The CodeTaper attachment is a low cost method to code the tape. Shipping Benches - Organization! We offer the Dehnco line. Email for details.